Next Post Summer Reading Plans. Because It’s So Close I Can Almost Taste It. I really like the sound of this one! A book about book awards? Count me in! Lost for Words sounds like fun, too. It was especially interesting to me in light of the recent Independent Foreign Fiction Prize. As a member of the Shadow Jury, I read most of the books for the long list, and couldn't have been more shocked (disappointed) at the announcement of the winner. I feel that what St. Aubyn points at here must be in part truth; the winner is not necessary the best book, but the one that fits an agenda. Or even one that is arbitrarily arrived at? Without a full consensus? Anyway, I find his writing marvelous. JoAnn, the Patrick Melrose novels are some of my favorite books ever. They are piercing and poignant and bitter and courageous. I do hope you get to them. Even before this one. I think you'll really like St. Aubyn's style. There's no one who writes like he does. I'd not relish being under the scrutiny of his pen. It's about book awards to be sure, but not to glorify them by any means. Still, I think his portrayal is more accurate than not (from my observations). I am fascinated by this book if only because readers with whom I would normally identify have such very differing views about it. Clearly the only thing to do is to get hold of a copy and make up my own mind. Perhaps you speak of Victoria's review at Tales From The Reaading Room? I loved her review, as I do all her thoughts. The only place I differ is my newly complete distrust over prizes, especially since reading for the Indeoendent Foreign Fiction Prize. I used to think that the best writers won; now I see it for the political game it appears to be. I do hope you read it, and tell me/us your thoughts. I loved your review! It strikes me as quite fascinating that you can now bring your experience to bear on this book. I'll bet it does change the reading experience. 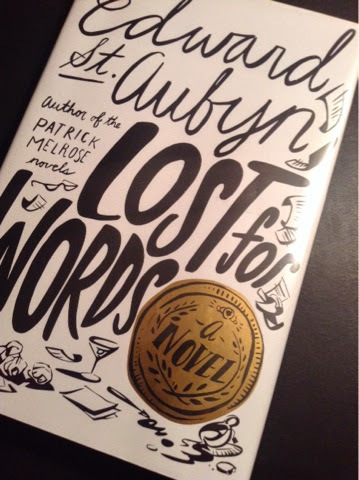 And Edward St Aubyn certainly can write – he is an extremely stylish wordsmith – I'll willingly give him that! It's been great to share this book with you; how serendipitous (to me) that we each read it within the same week. I always value your opinion. So glad to hear this is as enjoyable a read as I'd hoped when I put it on my Wishlist a few weeks ago – excellent review too. Well, not everyone loved it (as you'll see if you read Victoria's), but we both found value in the writing if nothing else. I just thought it was the perfect way to highlight flaws in literary prizes. Which I once thought were so well earned. Glad you liked the review. I've yet to read any of this author's work, but the Patrick Melrose novels have been sitting on my wishlist for some time now. I must get around to trying him at some point. Oh, Jacqui, the Patrick Melrose novels are incredible! I could read them all over again as it's been a year and a half since I did, they're that good. Your obvious enjoyment of it makes it sound such fun and has me wanting to read it! I've not read St Aubyn at all yet. Should I read a Patrick Melrose novel or two first? Stephanie, I'd definitely read the Patrick Melrose novels first. They're a great introduction to St. Aubyn, better than this one I think.